141. 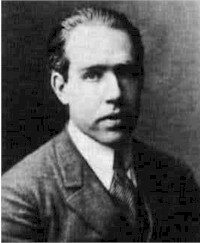 Niels Henrik David Bohr, (1885-1962) Danish nuclear physicist who developed the Bohr model of the atom. His received the Nobel Prize in physics in 1922, for his theory of atomic structure (Quantum Theory). He is on record as saying that he goes into the Upanishads to ask questions. 142. 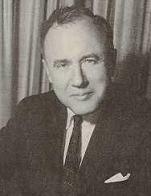 John Archibald Wheeler, (1911 - ) physicist, the first American involved in the theoretical development of the atomic bomb. 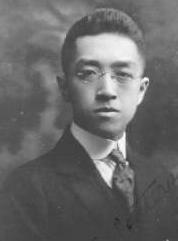 He also originated a novel approach to the unified field theory. He has worked with such famous physicists as: Einstein, Thorne, Oppenheimer, Bohr, etc. Professor Emeritus at Princeton and Texas universities, studied with Niels Bohr, was named winner of the 1997 Wolf Prize in Physics, for developing the modern "black hole" theory. Has taught students include scientists like Richard Feynman, now occupies the chair that was held by Einstein. It is curious that people like Schroedinger, Niels Bohr, Oppenheimer and John Wheeler are Upanishad scholars. (source: From article - Indian Conquests of the Mind - By Saibal Gupta. The Statesman.org). (source: Uncommon Wisdom - By Fritjof Capra p. 40). "Hindus are natural mystics, mysticism meaning a form of religion aiming at achieving direct union with God. To achieve the union of the individual soul (atman) with the world soul (brahman) behind all things may be said to be the whole effort of the Vedic philosophy." "My love and true respect for India was born when I first read the Indian epics, the Ramayana and the Mahabharata in the present translation in my college days. In these two masterpieces we are brought closer to the atmosphere, ideals and customs of ancient Hindu life than by a hundred volumes of commentary on the Upanishads, and through them Hindu ideals, as well as Hindu men and women, become real to us. And the fact that Hindu imagination produced such masterpieces of literature, closely rivaling Homer in antiquity and in beauty and power of portraying human passions, is definite pledge of the worth and richness of the Hindu civilization." 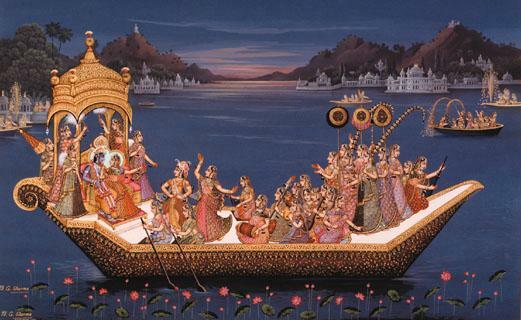 "The creative imagination of the Hindus has conceived no loftier and holier character than Sita; the literature of the world has not produced a higher ideal of womanly love, womanly truth, and womanly devotion." "The contact with poets, forest saints and the best wits of the land, the glimpse into the first awakening of Ancient India's mind as it searched, at times childishly and naively, at times with a deep intuition, but at all times earnestly and passionately, for the spiritual truths and the meaning of existence - this experience must be highly stimulating to anyone, particularly because the Hindu culture is so different and therefore so much to offer." "Not until we see the richness of the Hindu mind and its essential spirituality can we understand India...."
"India produced too much religion and China too little." A trickle of Indian religious spirit overflowed to China and inundated the whole of Eastern Asia. It would seem logical and appropriate that any one suffering from a deficiency of the religious spirit should turn to India rather than to any other country in the world." It is apparent that only in India is religion still a living emotion. India is the home of fables...one must say that the Hindu mind is fabulous. The genius for creating fables seems inexhaustible in Indian literature....Ernest Rhys, in his Introduction to Fable, Aesop and Others justly remarks, "We have to admit that the beast-fable did not begin with him (Aesop), or in Greece at all. We have, in fact, to go East and to look to India and burrow in the 'tale of tales' of Hitopadesa to get an idea how old the antiquity of the fable actually is. When one remembers also that many of the stories in the Arabian Nights, including that of the famous Sindbad the Sailor, are of Hindu origin, it is not easy to accept the view that such tales are not of native Indian growth." The Indian culture is highly creative and in fact has enriched the world literature with the droll humor that we associate with the Arabian Nights. (source: The Wisdom of China and India - By Lin Yutang p. 3-4 and 135 -141 and 265-7). 144. 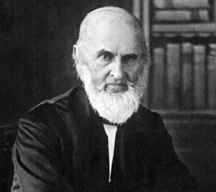 John Greenleaf Whittier (1807-1892) was a talented poet who was influenced by Emerson and from whom he borrowed a copy of the Bhagavad Gita. To Emerson he wrote: "I will e'en keep it until I restore it to thee personally in exchange for George Fox (founder of the Society of Friends, the Quakers). "It is a wonderful book-and has greatly excited my curiosity to know more of the religious literature of the East." " From the mystical doctrines of the Upanishads, one current of thought may be traced to the mysticism of Persian Sufism, to the mystic, theosophic logos doctrine of the Neo-Platonics and the Alexandrian Christian Mystics, Eckhart and Tauler, and finally to the philosophy of the great German mystic of the nineteenth century, Schopenhauer." (source: History of Indian Literature - By Maurice Winternitz volume 1. p. 266). (source: Manu: A Study in Hindu Social Theory - By Kewal Motwani p. 230). (source: Some Problems of Indian Literature - By Maurice Winternitz). (source: Banaras - City of Light - By Diana L. Eck p. 4-5). "Especially does there seem to be a growing probability that, from the historical standpoint at any rate, India was the birthplace of our fundamental imaginings, the cradle of contemplative religion and the nobler philosophy." (source: Mysticism and Catholicism - By H Stutfield 1925 p. 31). 148. F. W. J. Schelling (1773-1854) a crucial figure in the development of German idealist and nature philosophy, Eastern ideas pervade and color much of his thinking. In his book Philosophy of Mythology, he devoted to India more than one hundred pages. He regarded Vedanta as an 'exalted idealism' and this enthusiasm for Indian thought was taken up by Arthur Schopenhauer. (source: An Introduction to Hinduism - By Gavin Flood p. 269). 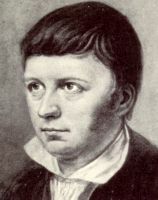 Through out his life Schelling expressed great interest in and support for Indian studies, and in his 1802 lecture he lavished praise on the 'sacred texts of the Indians, claiming that they were superior to the Bible. (source: Oriental Enlightenment: The encounter between Asian and Western thought - By J. J. Clarke p. 61-63). 149. 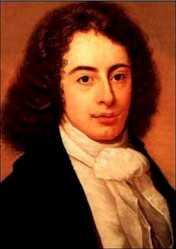 Robert Southey (1774-1843), English poet, generally considered a member of the romantic movement. He was born in Bristol and educated at the University of Oxford. Southey was a good friend of poet Samuel Taylor Cole ridge. He had read the Bhagavad Gita in the preparation of his lurid narrative poem The Curse of Kehama written in 1810. The Holy River, the Redeeming Flood. (source: British Attitudes to India, 1784-1858 - By Bearce (Oxford 1961) p. 103 and The Curse of Kehama - By Robert Southey). 150. K. P. Mukherji ( ? ) has observed: "The essential point which Westerners and Westernized Indians have to bear in mind, is that the Hindu Culture is through through synthetic, it aims at the synthesis of the here and hereafter, the world and the other world, the appearance that is many and the reality that is one, the temporal and the eternal, the positive and the transcendental." "What gives to the Upanishads their unique quality and unfailing human appeal is an earnest sincerity of tone, as of friends conferring upon matters of deep concern." "Hinduism is one of the greatest assimilants that the world has known." "It is infinitely absorbent like the ocean." (source: The Discovery of India - By Jawaharlal Nehru p. 90 and The Mutual Influence of Mohammedans and Hindus - by F W Thomas). "I find that Vedanta, of all great traditions, does have a framework that I can come to terms with as a person who thinks that science is the most legitimate way of understanding the secrets of nature." 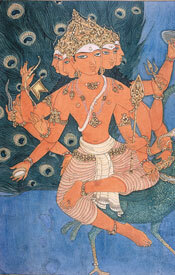 " I regard Vedanta as a source which inspired Hinduism." He emphasizes the Bhagavad Gita, as one of the gemstones of the Vedantic traditions. 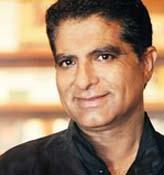 (source: Deepak Chopra: Vedantic Evangelist - Hinduism Today July/August 2000). 153. Sir Jacob Epstein (1880-1959), leading English Sculptor. After studying with Rodin in Paris, he revolted against the ornate and pretty in art, producing bold, often harsh and massive forms in stone and bronze. His best-known pieces include the Oscar Wilde Memorial (1911; Père-Lachaise, Paris), a marble Venus (1917; Yale Univ., New Haven, Conn.), and a Madonna and Child (Convent of the Holy Child Jesus, London). "Shiva dances, creating the world and destroying it, his large rhythms conjure up vast aeons of time, and his movements have a relentless magical power of incantation. Our European allegories are banal and pointless by comparison with these profound works, devoid of the trappings of symbolism, concentrating on the essential, the essentially plastic." (source: Let There Be Sculpture - By Sir Jacob Epstein 1942 p. 193). "In India I found a race of mortals living upon the Earth. but not adhering to it. Inhabiting cities, but not being fixed to them, possessing everything but possessed by nothing." "the Hindus are indisputably entitled to rank among the most ancient of existing nations, as well as among those most early and most rapidly civilized ...ere yet the Pyramids looked down upon the Valley of the Nile.. when Greece and Italy, those cradles of modern civilization, housed only the tenants of the wilderness, India was the seat of wealth and grandeur.."
" We will study India with its philosophy and its myths, its literature, its laws and its language. Nay it is more than India, it is a page of the origin of the world that we will attempt to decipher." (source: Discourse on Sanskrit and Its Literature - By Eugene Burnouf). 157. Sri Sri Ravi Shankar ( ?) 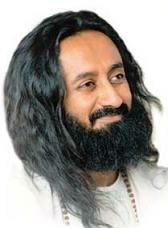 founder of the Bangalore based Art of Living an International Foundation. He recently addressed the UN Peace Summit on Aug 28. He is the only non-westerner to serve on the advisory board of Yale University's School of Divinity and is author of the book - Hinduism and Christianity . "Hinduism is not a religion; it is just a way of life that thousands of Rishis have written about. It is such a democratic religion where everybody has the freedom to think, write or say whatever they want. We have no opposition for any other philosophy coming into us. We have no opposition for the Bible to be part of our own study. Nobody here will say, 'If you read the Bible, you will go to hell'. It is an inclusive way of looking at life, and that is what we need in the world today. We have no objection taking food from every part of the world, listening to music from every part of the world. So we need to globalize wisdom too." (source: Re-establish The Human Values, Globalize The Knowledge). He explains that Hindu astrology has a very ancient lineage. Ten thousand years ago the Rig-Veda saw the earth as round and the sun was at the center and all the planets revolved around it. The West is thus committing an injustice by not giving Indian astronomy and astrology due credit. "Indian astronomers had calculated that life started 1 billion, 955 million, 818 thousand and 501 years ago and that 28 cycles of yugas have already happened." "The ancient sages knew these facts. This is why they devised the mala (necklace) with 108 beads, which stand for the 12 constellations and the nine planets and the 108 different permutations which affect one's life." Everything is this universe is interconnected." (source: It was all in our stars - By Francois Gautier - Indian Express October 23, 2000). For more on Sri Sri Ravi Shankar refer to chapter on Glimpses XI. "It would be absurd to suggest that any two tribes living, say, in Greece and India, and speaking quite unconnected dialects, on reaching the same level of development should have hit upon such similar words for "father," "fall," and "five" and inflected them in such similar ways as the Vedic Indians and the Homeric Greeks did in fact do. The primitive culture must be the stage of development reached by several peoples while living sufficiently close together to communicate." (source: The European Inheritance 1: 84).
" When one considers the sublime disposition underlying the truly universal education (of traditional India)...then what is or has been called religion in Europe seems to us to be scarcely deserving of that name. And one feels compelled to advise those who wish to witness religion to travel to India for that purpose...."
(source: In Search of The Cradle of Civilization: : New Light on Ancient India - By Georg Feuerstein, Subhash Kak & David Frawley p. 276). (source: Hinduism Invades America - By Wendell Thomas p. 239 published by The Beacon Press Inc. New York City 1930). Schlegel study of Sanskrit and of Indian civilization, On the Language and Wisdom of India (1808), was outstanding.
" India is not only at the origin of everything she is superior in everything, intellectually, religiously or politically and even the Greek heritage seems pale in comparison." (source: Arise, O India - By Francois Gautier ISBN 81-241-0518-9 Har-Anand Publications 2000. p. 25 ). He wrote to his friend and comrade, the poet Ludwig Tieck (1773-1853): "Here is the actual source of all languages, all the thoughts and poems of the human spirit; everything, everything without exception comes from India." (source: On Hinduism Reviews and Reflections - By Ram Swarup p. 105 and The Aryan Hoax: That Dupes The Indians - By Paramesh Choudhary p. 109). "The divine origin of man, as taught by Vedanta, is continually inculcated, to stimulate his efforts to return, to animate him in the struggle, and incite him to consider a reunion and reincorporation with Divinity as the one primary object of every action and reaction. Even the loftiest philosophy of the European, the idealism of reason as it is set forth by the Greek philosophers, appears in comparison with the abundant light and vigor of Oriental idealism like a feeble Promethean spark in the full flood of heavenly glory of the noonday sun, faltering and feeble and ever ready to be extinguished." (source: India And Her People - By Swami Abhedananda - p.23-24). "In India lay the real source of all tongues, of all thoughts and utterances of the human mind. Everything - yes, everything without exception - has it origin in India." and "The primary source of all intellectual development - in a word the whole human culture - is unquestionably to be found in the traditions of the East." (source: Oriental Enlightenment: The encounter between Asian and Western thought - By J. J. Clarke p.65). "India is pre-eminently distinguished for the many traits of original grandeur of thought and of the wonderful remains of immediate knowledge." "The doctrine of the transmigration of souls was indigenous to India and was brought into Greece by Pythagoras." "Even the loftiest philosophy of the Europeans, the idealism of reason, as is set forth by Greek philosophers, appears in comparison with the abundant light and vigor of Oriental idealism like a feeble promethean spark in the full flood of heavenly glory of the noonday sun - faltering and feeble and ever ready to be extinguished." (source: Lectures on the history of literature: ancient and modern p. 126 and Hindu Superiority - By Har Bilas Sarda p. 276 - 280).